Supercharged street-racing action exploding onto the screens of Miami. Incredible cars driven to the edge. Beautiful girls and a lifestyle to die for... 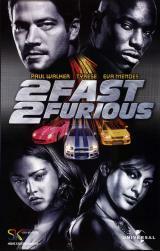 It's 2 Fast, 2 Furious. Academy Award nominated director John Singleton (Boyz N Da Hood) brings you the nitreous-injected follow-up to ''The Fast and The Furious''.